Like you, I have convinced myself that "cut parts" and for me -strings, do not count as scraps. 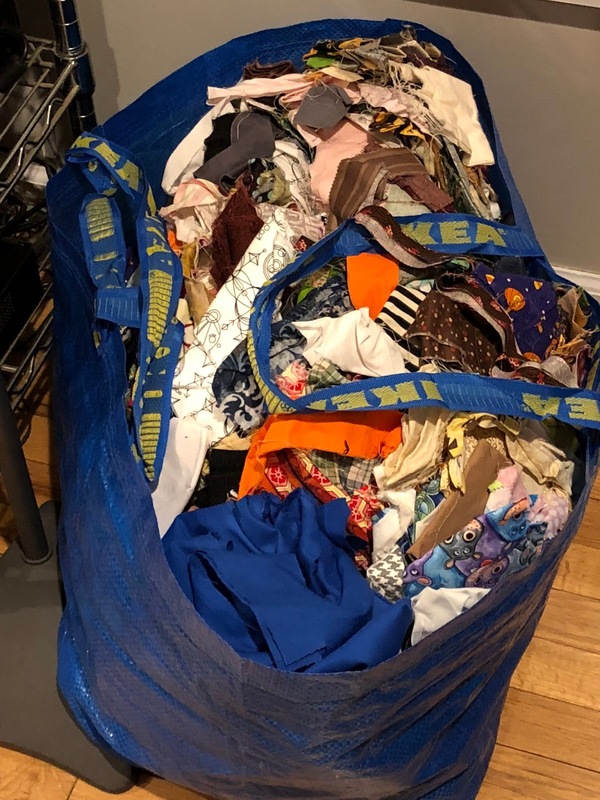 My IKEA bag is only 3/4 full. But the parts ... !!! I am working on my scraps this year too. 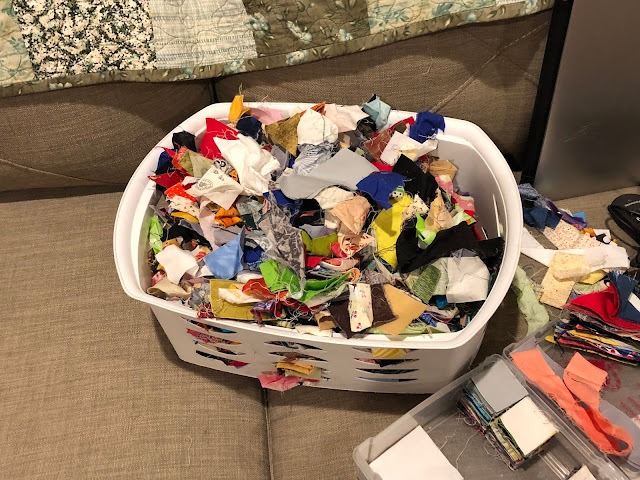 My plan is to just choose a scrap quilt (actually I've wound up with two since one needs bigger scraps than the other) and cut for and sew those scrap quilts. No saving fabric for future use - just use it up and get it done. It's part of the touch everything only once philosophy. 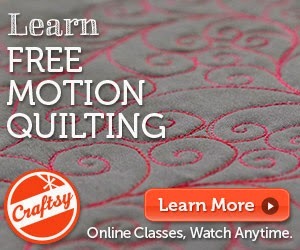 If it gets sewn into blocks, I don't have to find a place to store that fabric. 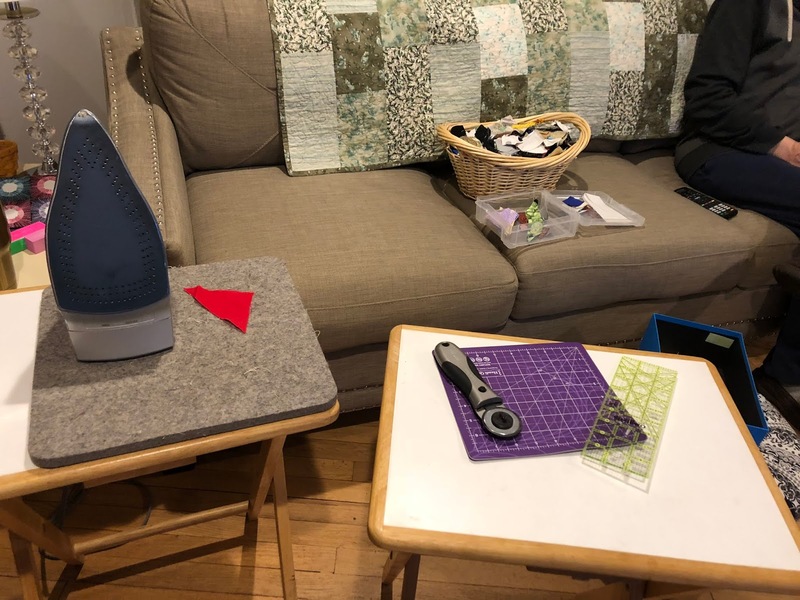 I am pretty sure that the original plan was always to have a scrap quilt going but somehow that didn't work out as planned. My friends think that I am obsessive about piecing backs for my quilts from the scraps leftover from making the tops. I have beautiful quilt backs and very few scraps to deal with later. I keep everything 1.5" square and bigger. I have a drawer of strings. I have containers of 2.5" and 1.5" squares that are slowly becoming blocks. The rest are in drawers by colour. When they drawer gets full I make monochromatic scrappy baby quilts.